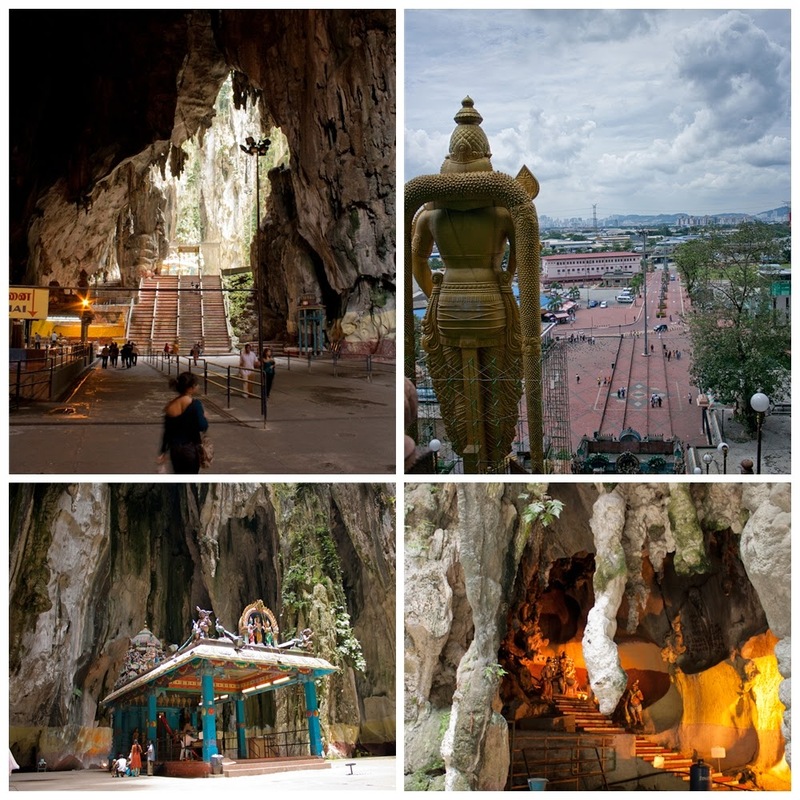 Situated 13 kilometers north of Kuala Lumpur in Gombak district lies a sacred place of Hindu's in Malaysia called Batu Caves. 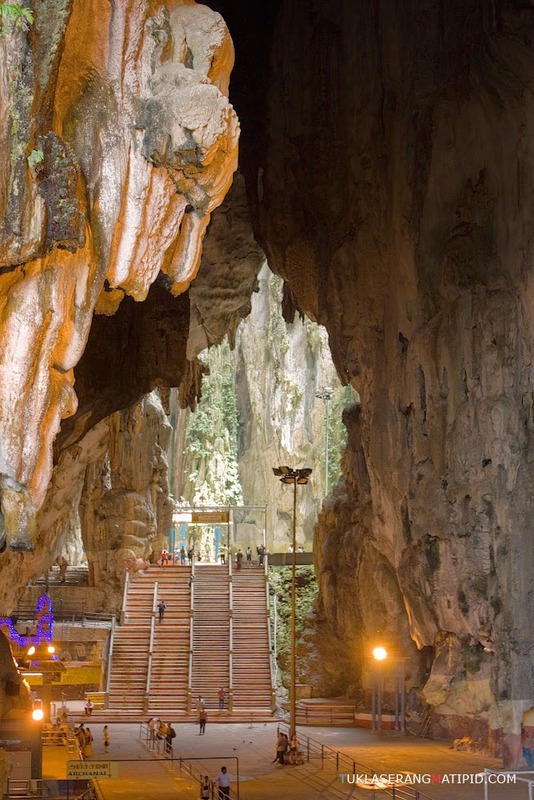 It takes its name from the Sungai Batu or Batu River, which flows past the hill.Every year, on Thaipusam, as many as 800,000 devotees and other visitors may throng the caves. As a form of penance or sacrifice, many of them carry kavadis (literally, "burden," such as a pitcher or jug). These are large, brightly decorated frameworks, usually combined with various metal hooks and skewers which are used to pierce the skin, cheeks and tongue. By doing this penance they expect some favors from their Gods. The festival is held in the tenth month of the Hindu calendar (mostly the end of January).The festival is not for the faint-hearted and weak stomachs. 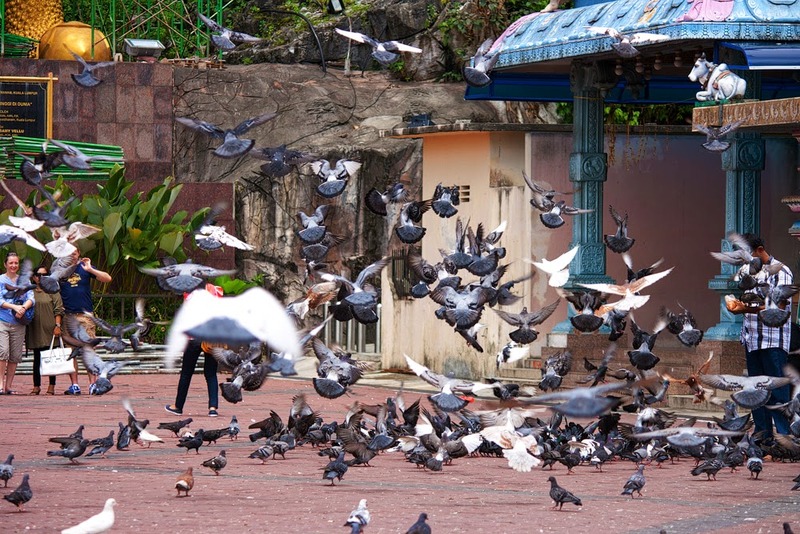 Once you arrive at Batu Caves, you will be greeted by friendly pigeons along the way. “Feeding pigeons” has become an activity on its own at Batu Caves among the children. Each child spreading grains on the ground, competing who could attract the biggest flock of pigeons around. 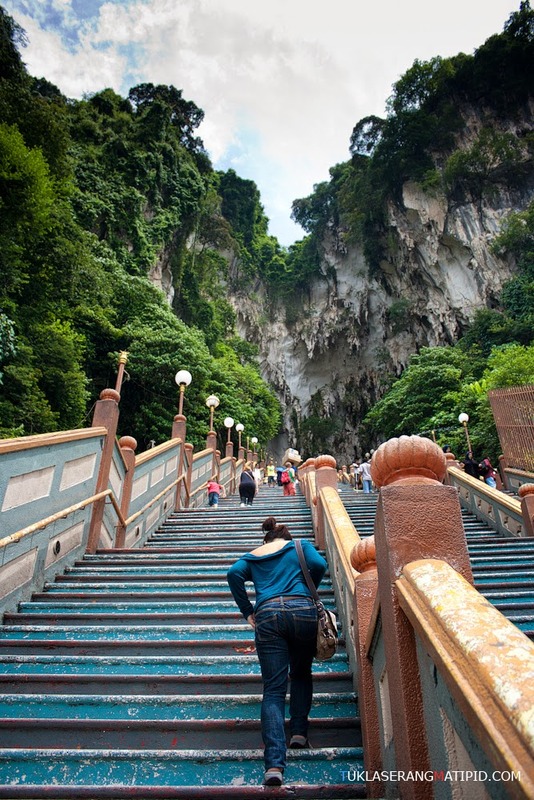 The enormous, gold plated statue took them 3 years to construct and unveiled in January 2006 during Thaipusam festival.Climbing those steps is quite challenging. 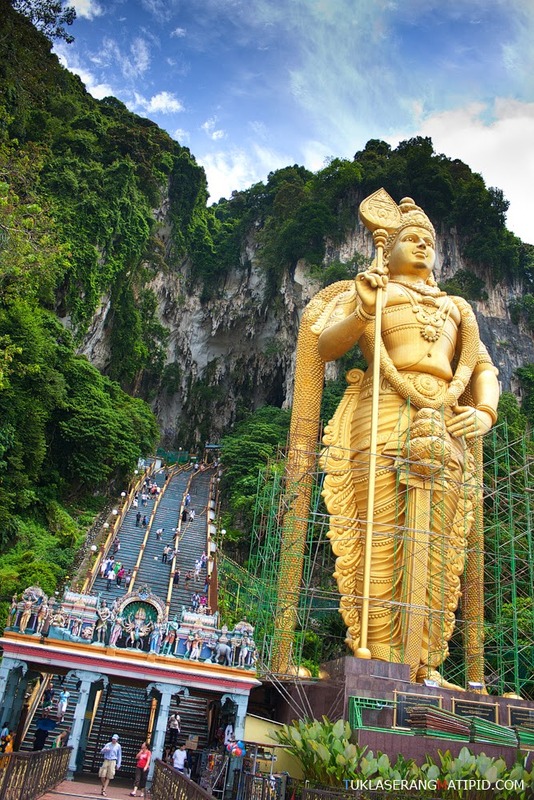 • Lord Murugan statue is considered as the tallest Lord Murugan statue in the world. After taking some photos, we started to ascend up 272 steps to the entrance of the cave. Apart from the climb, visitors should also be careful of the numerous monkeys who are quite aggressive and can at times grab eatables and bags from visitors hands. Doing my signature pose hahaha at the cathedral cave.At the back are few stalls selling souvenirs and refreshments near the cave entrance. After a quick tour around the caves, we decided to leave the place. All in all, it's a great experience and worth visiting.You can check on how to get here on my next post. • Be careful with the monkeys. • Taking a train going here is more comfortable than taking a bus.